Heather Rose has won the 2017 Stella Prize, worth $50,000, for her novel The Museum of Modern Love (A&U). Judging panel chair Brenda Walker said the novel, which reimagines Marina Abramovic’s 2010 performance of ‘The Artist is Present’ at the Museum of Modern Art in New York, is an ‘unusual and remarkable achievement, a mediation on the social, spiritual and artistic importance of seeing and being seen, and listening for voices from the present and past that may or may not be easy to hear’. You can borrow a copy at City of Parramatta Libraries. 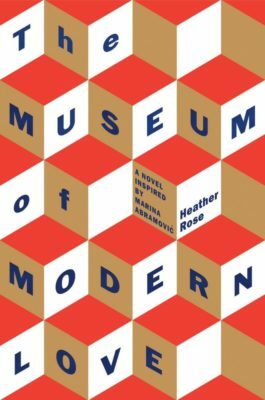 This entry was posted in Awards & Prize Lists, Fiction and tagged 2017 Stella Prize, Australian Literary Awards, City of Parramatta Libraries, Heather Rose, reading, The Museum of Modern Love, Writer by admin. Bookmark the permalink.